Mandy is a professional artist with a focus on painting and drawing. Her approach to art making is highly experimental; she is always interested in playing with a new idea or material. 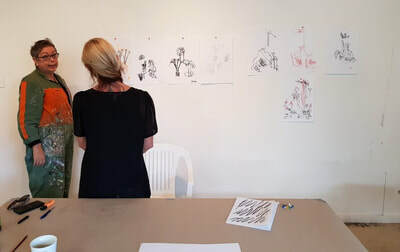 ​Art Education has been a major focus for her; from 2000-2014 she held a Senior Academic position at Auckland’s Unitec in the Department of Design and Visual Arts. Her teaching experience is broad - from supervision of Masters students to incoming Certificate students. 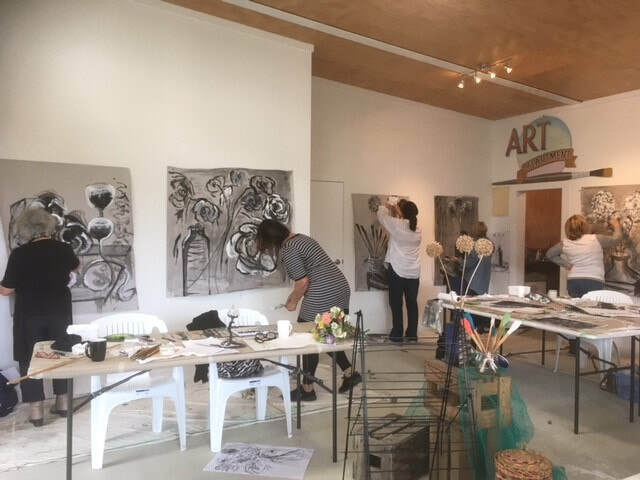 She now resides in Mangawhai and has built a large, stand-alone professional arts studio, which she shares with students on a continual basis. She loves making art and enjoys sharing her experience and enthusiasm with others. The Art House Painting/Drawing Class, starts Thurs 14 June, 6 sessions in total, every 2nd Thursday, $450.